A beautiful table with exquisite detail. Also available with a drawer. 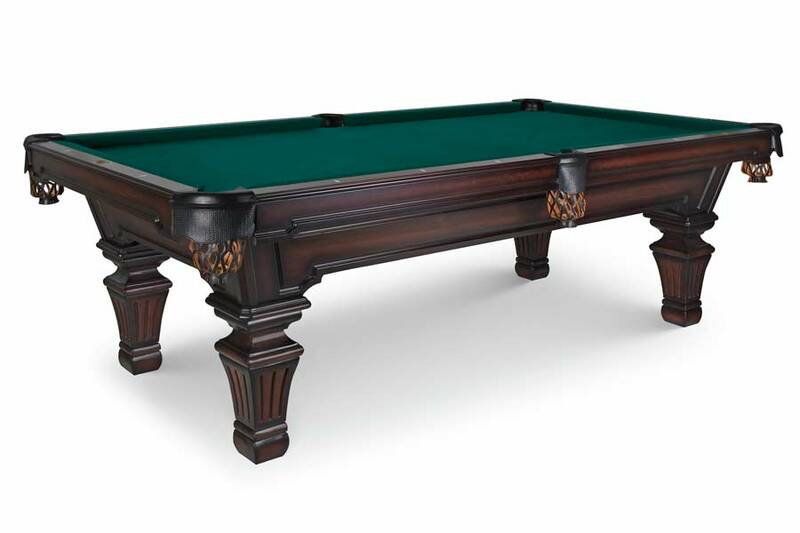 The Olhausen Hampton pool tabel has a detailed, high class look. Shown in Traditional Mahogany.